Ta Phraya National Park was declared a National Park in 1996. The park covers an area of 371,250 rai (equivalent to 594 sq.km.). The area surrounding the park and the boundary of the park form a straight line connecting Pangsida National Park from the west to Cambodia in the east. In the north, the park is connected to Tab Lan National Park and Buriram provinces, whereas in the south, the park boundary touches Ta Phraya distric of Sakaew Province. This is also where the administrative offices of the park are located. The general landscape of the park is a plain area surrounded by hilly tracks. 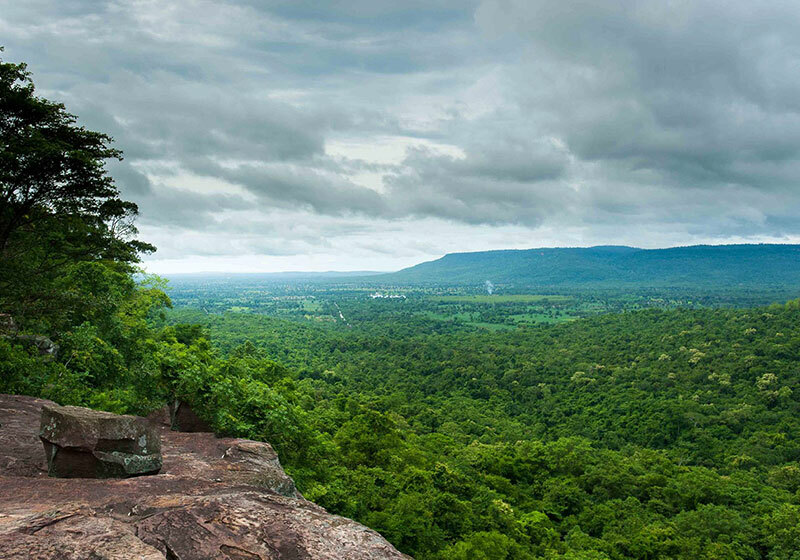 The major hill track of the park is the Bantad hill track, which stretches eastward as a natural boundary line separating Thailand and Cambodia. Hillside areas a botanical plain, with a tropical forest in pristine condition made up of many tree varieties. The park is a major water source, and numerous streams and rivers have their origins here, including the Satone River, Huay Sabkradon and Nangrong rivers. It is also home to various kinds of animals such as Gaur, deer, wild pig, Antellope, and more than 300 different species of birds. Ta Phraya National Park can be reached by driving along National Highway No. 33, passing through Sakaeo province and Wattana Nakhon district. After reaching Aranyaprathet district, urn left onto National Highway No.27.The road to the park is a 13 –km-long nonsurfaced road. 4WD vehicles are recommended. Short Description: Ta Phraya National Park is a protected area at the eastern end of the Sankamphaeng Range in the area where these mountains meet the Dangrek Range, near the Thai-Cambodian border.